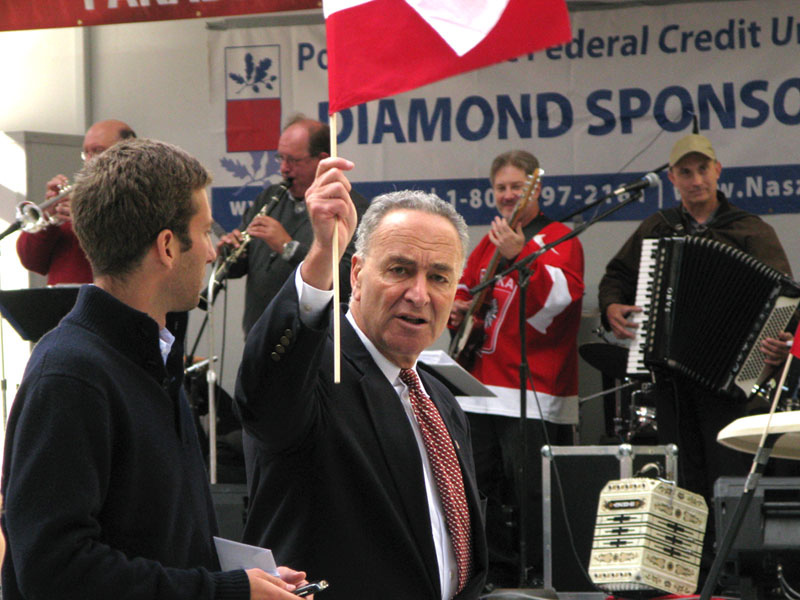 The 81st annual Pulaski Day Parade will be held on Sunday, October 7, 2018 on Fifth Ave. in New York City. 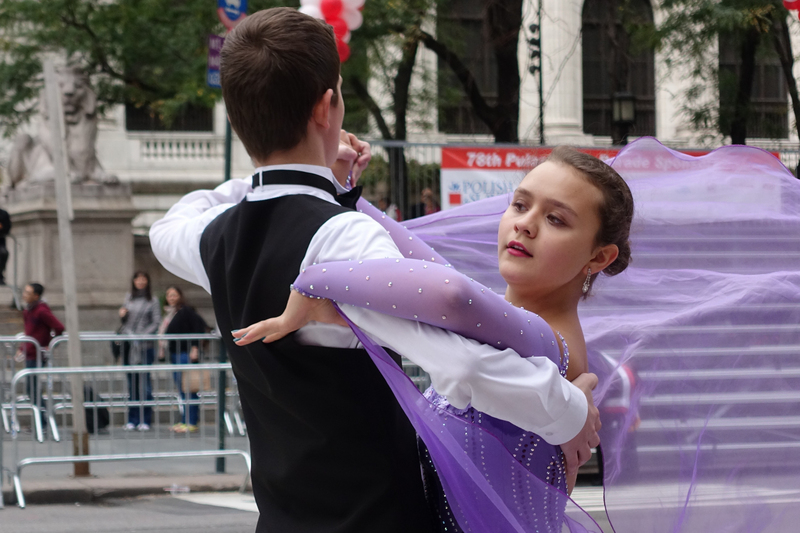 Read about the Parade’s program, route and accompanying events. This year’s Parade theme is Poland on the Centennial of its Restoration to Independence, 1918-2018. 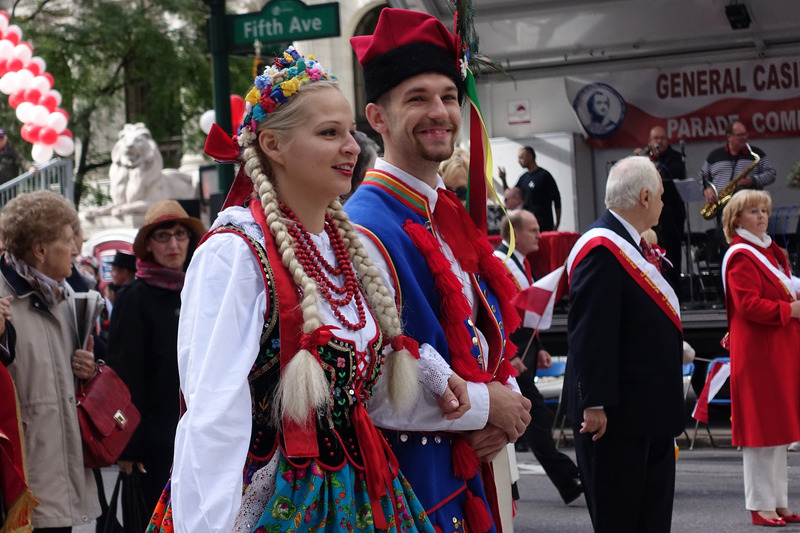 Thousands of Polish-Americans will be marching in the streets of New York representing schools, youth and sports organizations, folk dance groups, businesses and parishes of the Tri-State area. Representatives of the Polish government and distinguished members of the community will also pay tribute to our heritage. 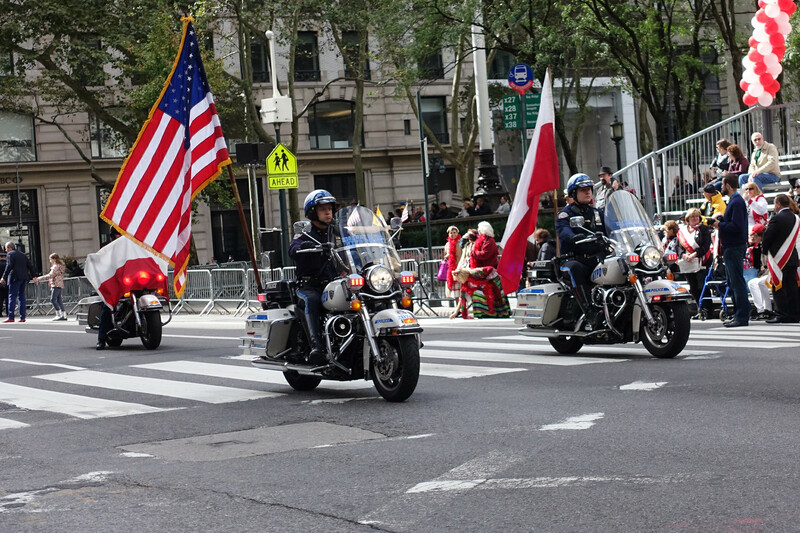 Please show your Polish-American pride by supporting this great event. Since 1937, the Polish-American community of New York has honored General Casimir Pulaski, a Polish aristocrat and American Revolutionary War Hero during the month of October. The Parade is held annually on the first Sunday of October and closely coincides with the October 11th General Pulaski Memorial Day, a national observance of his death at the Siege of Savannah. We look forward to celebrating with you on Fifth Avenue! I remember going to the Pulaski Day parade in the late 1940s with my parents and grandfather who came to the USA from Warsaw in 1902. We would have tea in this tea room on north east corner of W. 42th St and 5th Ave that was on the second floor of a small building with big windows that looked out onto 5th Avenue. We drank tea while we watched the parade pass by on a beautiful sunny day. Jerry Ceasar Przybylowicz. 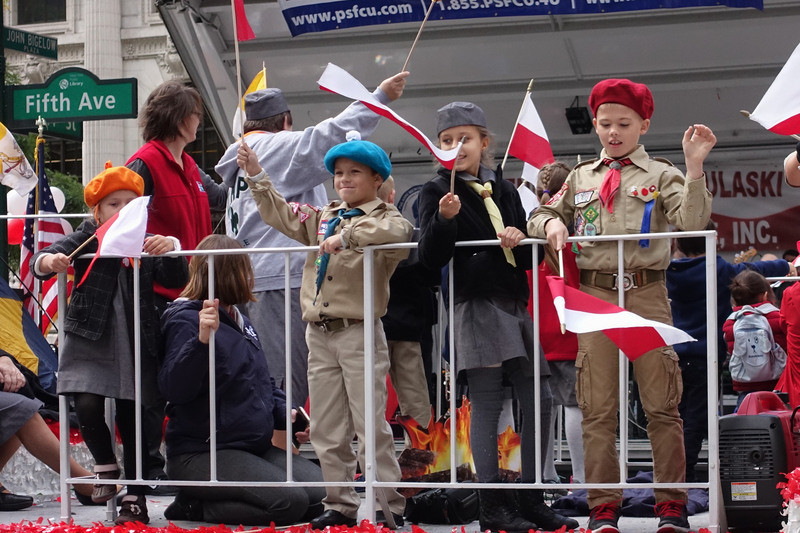 The Pulaski Day Parade on October 7, 2018 was once again a very happy event , honoring the 100’th Anniversary of Poland’s Independence. I as a proud Polish-American feel honored to have grown up in this country and will be forever great full . Polish -Americans are hard working people that know and remember their history , sometimes that is mistaken for being push overs that is so far from the truth . Thank you to all the committees that work annually to organize this spectacular event , with out problems and violence. my wife being 100% polish and I being 50% polish found the parade beautiful and credit to our heritage. We will return in 2019. Glad to hear you enjoyed it! It’s a great event and so many of us really look forward to participating. Czy jest jakies miejsce w ktorym najlepiej byc z trzyletnim dzieckiem aby wszystko dobrze widziec bo bede pierwszy raz i nie mam pojecia jak to wyglada. Najlepiej ogladac przy 41-42 ulicy gdzie sa trybuny honorowe. Google translate: Is there any place in which it is best to be with a three-year-old child to see everything well because I will be the first time and I have no idea what it looks like. Czy banquete, ktory jest dzisiaj w Marriott, ma wolne miejsca aby dolaczyc? Jak tak to gdzie mozna kupic 2 bilety? Widzialem ten festyn dzis przez barierke. Wstyd mi. A niby dlaczego ma być Ci wstyd? Widziałeś inne tzw. parady etniczne w Nowym Jorku? Tutaj oglądam całą Paradę . Pozdrawiam z Polski, z Podkarpacia. NIE WIEDZIAŁAM O TAKIM ŚWIĘCIE ….nic w Polskich mediach ZERO!!!!! !….HAŃBA DLA MEDIÓW W POLSCE !!!!!!!! Nie podniecaj się, media w Polsce o tym informowały. Ale co mieszkańcy nie Polski mogą o tym wiedzieć ??? A transmisja na Polskę jest przewidywana? Where does the parade route start and end? What time does it end? Ride-inevents.com will be having Miss Polonia astride “Revelation”, white American Quarter Horse from the pine barrens of eastern LI! I have been told it’s the first time in the history of the parade that horses are marching . Can I join the parade on motorcycle? 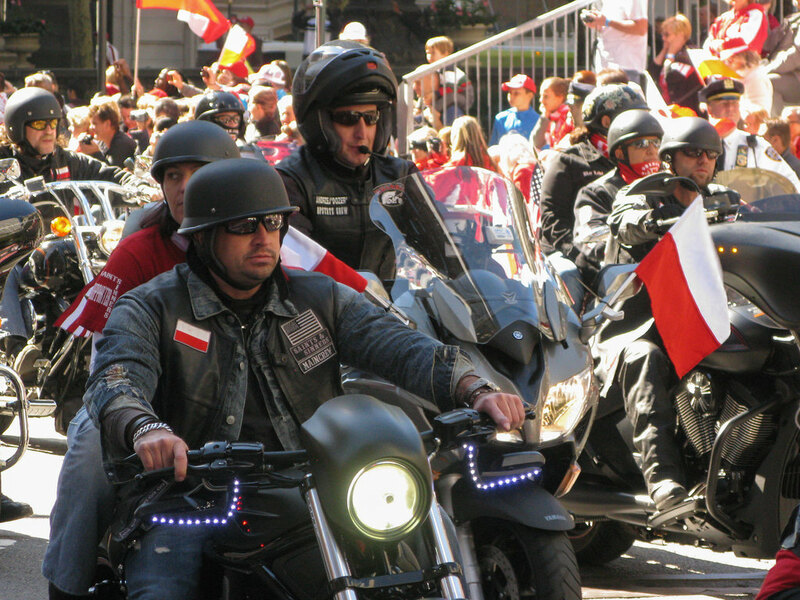 I’m sure you can but you should join one of the Polish bikers groups participating in the Parade. Will see you all there. I’ll be marching with the Hawthorne Caballeros Alumni drum & bugle corps we will be representing Saint Stan’s in Garfield, NJ. Copyright © 2018 Polonia.net. All Rights Reserved. Legal Disclaimer.